Why did Steve Kerr pick the Warriors over the Knicks? Just when it looked like Steve Kerr was getting close to becoming the next coach of the New York Knicks, it turns out that Kerr will instead become the next coach of the Golden State Warriors on a sweet five year, $25 million contract. Even as it was reported that the lead analyst for the NBA on TNT was deciding between the Knicks and the Warriors, few thought that Golden State had much of a shot so this was definitely a stunner. Thus the question must be asked, why did Kerr accept the Golden State's offer and not New York's? The connections to the Knicks made a ton of sense. After all, Kerr is most famous for his years with the Bulls under Phil Jackson, who also happens to be the relatively new president of the Knicks. Jackson supposedly wants to hire one of "his" guys and Kerr seemed to be a logical fit. But one could argue that Kerr's relations to the Warriors perhaps were even stronger. Kerr is a California native and lives in San Diego, and his daughter goes to Cal-Berkeley and plays on their volleyball squad. He also is said to be friendly with Golden State owner Joe Lacob and has known for him 20 years. Lacob's son Kirk was supposedly lined up for a job under Kerr with the Suns before he resigned as general manager. Also in Phoenix, Kerr worked with current Warriors president Rick Welts. Also, Golden State has a big advantage in one regard, the on-court project. Golden State may have been bounced out in the first round, but they are in a much better position to win right now than are the Knicks, who are entering what will more or less be a rebuilding year, particularly if Carmelo Anthony leaves in free agency. Golden State has a legitimate star in Stephen Curry, who a great shooter like Kerr will definitely appreciate, a good backcourt mate in Klay Thompson, an excellent defender and slasher in Andre Igoudala, a big enigma in Harrison Barnes and a nice frontcourt in David Lee and (if he's healthy) Andrew Bogut. That's a good roster and thus why this had a legitimate claim on being the best open job in the league. Besides at this point, would you really want to coach for an owner as mercurial as James Dolan? Of course, he sold the job well enough for Jackson but one reason why the negotiations dragged on as long as they did, which allowed Golden State to get into the game, is because Dolan was dragging his feet when it came to what Kerr wanted. After all, he was not going to leave a nice job doing the NBA and the NCAA Tournament for the hell of it. Plus, one guy Dolan is far from fond of is Kerr's broadcasting partner Marv Albert, so perhaps Albert helped sway Kerr of the kind of a clown owner Dolan is? Of course, one could make the point that Joe Lacob may not be the greatest owner in the association either. He is known for his big personality and the way the Mark Jackson situation unfolded before the latter was fired a week ago was certainly unusual to say the least. Sure, Jackson deserves his fair share of blame for how the environment in Oakland had become bizarre and toxic, but he also improved the team's win count every year and led them to their first back to back playoff appearances since 1990-92 and was very well liked in the locker room by his players. The team gambled when they hired him right out of the broadcasting booth in 2011 and it is hard to argue with the results in the end. It is interesting that Kerr became perhaps the hottest coaching target this year despite his lack of coaching experience, a la Jackson. But it is not hard to see why. 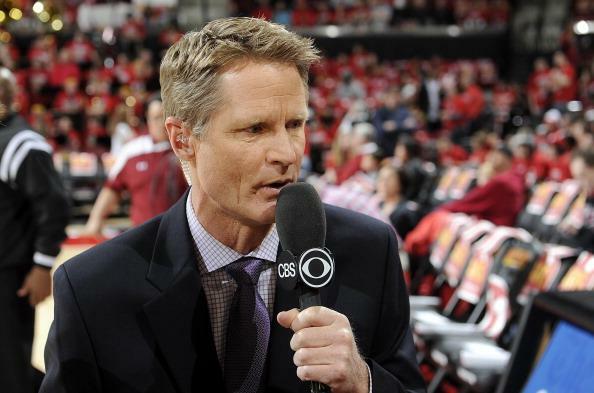 Kerr has always been regarded as having a bright basketball mind, hence why he became one of the top analysts on television, and is very well respected around the league. He also had a solid tenure as general manager of the Phoenix Suns from 2007 until his resignation in 2010 although the Shaquille O'Neal trade did not pan out completely and the hiring of Terry Porter to replace Mike D'Antoni was not a success either. It still was a surprise to see the Knicks be spurned for the Warriors by Kerr but time will tell how his tenure in the Bay Area will turn out. And as to who the Knicks turn to now, who knows?